I do struggle when companies launch their new ranges for all the above & much more, this next few months is going being very testing indeed, I can tell you! To start with the new baking range from Marks & Spencer. Some of it is very nice you know, very nice indeed, with a bit of a vintage theme going on. in particular some very nice spoons! I do love interesting measuring spoons, I do have my favourites to actually use because some are more novelty than useful but visually lovely & what with there being 20% of at the moment, I’m going to find it tricky to resist! And those bundt tins look very nice. And you can never have enough cake tins, because you just never know when you’ll need them of course. (Do I sound convincing?) Bundt tins are always beautiful things to own & make the most fantastic cakes, every cake baker should have one (or two) think! Looking forward to seeing what new ranges that will be up for grasps in the next few months from other companies, I must resist!!! I must ….. resist……. My current list is going to get us to National Laser Championships in Weymouth, in 2 days time… Currently still on No 1 which is I think pushing it slightly. I do have a nifty trick up my sleeve though, or rather a book. Every time we go away to an event, all the planning, postcodes, gate access numbers, things to take etc lists on lists, go in this book & after the event, all the ‘should’ve done’ go in there too, which is getting smaller. The idea being we can learn from each trip & eventually all things will be perfect which is why I’m currently flapping about, not knowing what I’m doing!! I’ve also been trying to sort out a grocery delivery – who knew you could get Sainsbury’s & Tesco & the like to not only deliver to your caravan whilst you’re away but even to your tent! My good friend (& sailing Mum extraordinaire) let in me on that particular tip! Saves room in what is always a highly packed car, you don’t have to juggle bananas & milk, which lets face it, smells awful once its ground into upholstery. Lists sorted, packing going well, missed the cutoff time for Sainsbury’s, so now minus half the food, which wasn’t in the plan… no time or space now – soldier on – they have supermarkets in Weymouth. Not panicking… Not yet.. Pack car, check lists, counter lists & sub lists, remember to pack The Book, remember the soap. I don’t know about you but it’s the one thing I consistently forget, both to pack & then bring home, don’t know why this happens, well I do, I forget, obviously! Need to devise some sort of soap reminder – expand the ‘Soap on a Remembering Rope’ or something, but this time remembered. Phew. Sometimes being in ‘Traffic’ is alright. You get to nosy at the view, people’s houses, gardens, shops, sometimes fields & general lovely scenery & that’s fine I would say for about 5-10 minutes (although 10 minutes if pushing anyone’s tolerance) & then you start to wonder as to why you’re not moving, thinking about the road ahead & if you’re familiar, what could possibly causing this grid lock & why now. More minutes pass, you move a few feet, forced to let someone in or out a turning, not wanting the cars behind to think you’re a meany. More minutes, WHAT’S GOING ON!!!! Open wine gums. At this point (2.5 minutes later) the map gets requested, ‘lets turn round!’ (whilst towing a boat..?.) ‘is there another way? !’, ‘we could go that way!’ WHAT’S GOING ON!! Er don’t know, lets just wait a few minutes. More wine gums, some sort of pensive calm resumes, move a few feet. Repeat. An hour later, a broken down car & random road works behind us, & finally on the M6 & it’s moving! Thank flip for that!!! Although one good thing of being is slow moving or stationary ‘Traffic’, you can open the windows wide & gets some breeze without your ears exploding, it is the small things. Sweat our way to caravan… Stop…Stop… Brew. A brew with a view… relax…. And then after a not so good night sleep (this is apparently due to our Primal Flight Instinct or so I read somewhere – first night somewhere new your brain switches it on… Wish it wouldn’t..) & a fab English breakfast, back to the fabulous Weymouth & Portland National Sailing Academy or WPNSA for short. Home of the British Sailing Team & where the London Olympics 2012 Sailing event took place! We’ve been here quite a lot since January mostly for training & the odd Qualifier event. It does feel very familiar now. Given we gauge how good a place is by the facilities & food – is up near the top, which is convenient. Unpack boat, & help rig, have the usual grizzly arguments, walk away, go get a brew, register. Events like this one are sponsored by relevant companies from chandlerys, to insurance companies & sometimes you get a little free something or sometimes you get a lot. In this case the free something was a free zip folder – with a sticker…. Even the registration staff tried to get excited, they tried very hard… Oh well, somewhere dry & zipped to put race details. And it’s got a sticker on. Perfect sailing conditions, bit of cloud cover & they’re ready for launch. The very first national event we went to was at Weymouth. It was very cold, windy & the first time racing out on the sea & from my perspective utterly terrifying. I did sob quite a large amount when he first launched on the sea, best not to dwell on the thoughts whirling around my head, the potential catastrophes. I don’t even blink now! So that’s enough I think for Part 1, onwards with the rest of the adventure & the wallabies of course! I’ve not posted here since Christmas sadly. There’s been a lot less baking going on since then too unfortunately but I’ve been busy – sort of! To document this new busyness I’ve started a new blog – Tales from a Sailors Mum just for fun like but you never know where words will take in my experience. So please take a look, you may just be mildly amused! Our first trip to Coniston this week took so long, I’m sure you could easily have flown to Greece, had a tasty mezze, bought some olives & come back without breaking a sweat. Ok maybe not that long but longer than should be allowed in a car with busted air con definitely breaking a sweat, cobs of the stuff! Wendol mostly got us there one piece, with only one minor slip up where the map won (& therefore me) & minimal shouting. We did look cool though towing the little orange rib behind us, ready for an adventure! It took that long we ended up having to stop off at the services for food… Joyous places aren’t they. I’d gotten all excited thinking we’d be able to go to Teabay, not realising we’d be coming off the M6 before then. Huge disappointment! Ended up in Costa coffee with a tepid panini & tea in those ridiculously fat rimmed cups. Not wanting to sound like my Mother or my Gran for that matter but tea shouldn’t be in fat rimmed cups. It’s a fundamental wrongness. 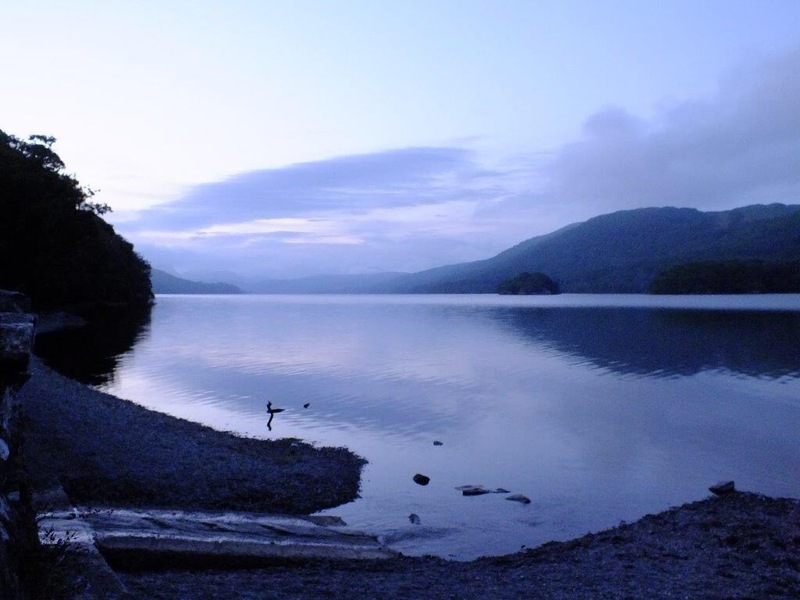 Coniston Water is without a doubt one of the most beautiful places in the world, well the world I have seen at any rate, but I don’t think there’s many who’d argue with me. The light was rather stunning adding an ethereal edge to this beautiful, beautiful place when we finally arrived. I’ve already checked out where to live on Rightmove, & found us a er small little place, with its own boat shed on the lake & er one or 2 bedrooms… Ok 11… You know for when people come & stay & I’ve got a big family & one or two friends, oh well, one can dream. It’s also rather wonderful to think that this very house & some of its previous inhabitants were the inspiration for Arthur Ransome’s Swallows & Amazons, a favourite book for longer than I can remember. Coniston Hall Campsite looked lovely, very close to the shore, very quiet, well quiet at that precise moment, possibly a little louder once a whole scout pack arrives. I imagined they’ve had a stupidly fabulous amount of fun, I feel a little envious if I’m honest, especially as I’ve been sorting & clearing & removing bags of, er, well stuff. All dropped off, quick pint of cider, for a timely & unremarkable journey home except for an exceptionally close shave with a very big coach, we’re talking centimetres here people, very small centimetres! I’ve always thought it shows you’ve have had lots of fun when you finish an adventure looking tired, but happy & slightly grubby. I’m guessing that’s exactly what occurred given the state the scouts & explorers were in when we got there. And then when you hear the stories of those adventures & curious tales & a certain reluctance to return home you know, despite the sometimes inclement weather, it’s been an amazing camp & already there’s a looking forward to next year. Job done I’d say! And then, half way home the jockey wheel decided it wanted to join in with the wheeling fun, & dropped – how very rude! Luckily no damage & only 3 minutes of utter stress, & some rib envy at yet another motorway services, so not bad really. And, I’m pleased to say, despite my fears, not so much of the smelly, smelly things can you believe, well apart from sailing kit, it’s always smelly! Mouth wash to the rescue! And yes, I did miss him! Not so long ago I made cake & gingerbread for a living, we didn’t own a boat, & days were spent either busily baking in my tiny little kitchen or idly watching boats go by at the most delightful little mere, a hidden Cheshire gem, tucked away & out of sight, the very lovely Redesmere. I say tucked away, it’s know far & wide for it’s opportunities to feed t’ducks & have an icecream or two but it also has a lovely sailing club too. Since then we’ve seen a number of different watery views, tasted lots of different teas & coffees, become very opinionated about venue catering, very important I’ll have you know, talked the hind legs of several dozen parents, become very conversant with the working of the odd Premier Inn or ten, & learnt that mouth wash is an excellent cheap option for cleaning wet suits – who knew that one!! And that’s all before I mention the bloody satnav Wendol… I dislike her hugely & her fondness for single track roads, & 90 degree tight bends. She’s on her last life line at the moment, I’m planning her demise with sinister glee! So that’s a very brief summary, just to get us started, we’re off to Coniston tomorrow to deliver one teenager & tow a safety boat to the annual Scout Summer camp, an exciting prospect for some of us, no doubt pictures will be taken of said safety boat to immortalise the moment, to add to the ‘wheels’ collection, along with the lawn mover… I’ve made gingerbread to take, as a treat for them all, survival fodder, & just a little bit of a sugar rush to have with their hot chocolate. Lets hope Wendol gets us there without any ridiculous detours, spilt milk or sweary outbursts, (note to self – remember the atlas, & AA rout planner- just to be on the safe side). In the meantime here’s a photo of a very cold Queen Mary Reservoir, the most amazingly steep sided reservoir I have ever seen… A slippery slope indeed… Pip pip! As I write this I’m watching Morcombe & Wise Christmas Special, kipper ties, wide lapels & Des O’Conner, oh & Angela Rippon now, its definite throw back to the 70’s, (not that I remember the 70’s of course, I’m purely guessing here you understand…) Either way, it definitely means Christmas is almost here! It’s very nearly almost time to hibernate & I really cannot wait!! But before all that (& several more vintage Christmas Special of years gone by), there’s the very serious business of the final, the very best till last, the amazing finale of the year, the last Treacle Market of 2014 & it’s going to be MAGNIFICENT!! It will be a perfect ending to a very busy year! So you’d best get out the trundles & trollies, bags & baskets, & fill your boots, you’re going to need it! So if you’ve not been before & you’d like a heads up to Magnificent Stalls & local businesses (obviously I include myself in this list!) here’s a few of my absolute favourites!! ❄️ On Chestergate there’s the wonderful treasure trove that is Deja Vu! It’s a shop full to the brim with the curious, the gorgeous & the must haves, but hands off the cake plates – they’re ALL MINE!!! Mwhahahahaa! ❄️ Next is the wonderful Fudge Box to be found on Castle St, you’ll get the most amazing Cheshire fudge, the a tasty gift for Christmas! ❄️ My lovely friend Doodle Lou is so very talented & she has a stall along with other very talented artists/designers, just out the entrance to the Grosvenor Centre, beautiful, quirky jewelry , cards & gifts! There are so many more wonderful business I could go on all day & night & longer, but a few to look at anyways! Cosy Spicy Apple & Cinnamon – Moist & Spicy sponge with delicate vanilla buttercream dusted with cinnamon & a Christmas shaped Gingerbread Biscuit! Vanilla & Nutmeg – subtly Spiced & slightly exotic – delicately flavoured buttercream – topped with perfect Gingerbread biscuit! Looking forward to seeing you all on Sunday, a Very Merry Christmas to you All!